Alexey Polyakov, Triaxes, 2011 (updated 2019). Triaxes StereoTracer (here we use version 5.x.) 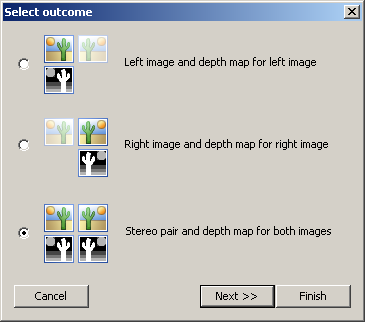 has a feature to convert a stereo photo to multiview 3D using both left and right frames. Let’s look at this photo taken on a shopping street of the small Croatian town on the Adriatic coast. Let’s see in what way we can convert it to 3D and how to make fine tuning of the rendering settings. 2. 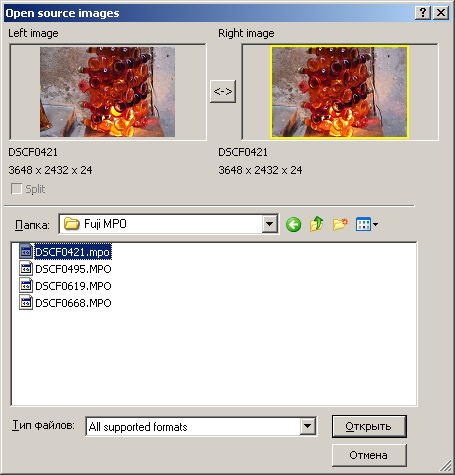 Select the source file. 3. Select the third option. 4. 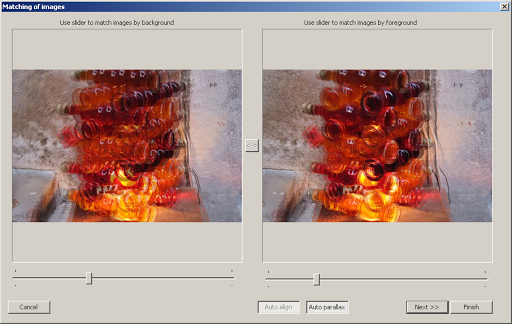 StereoTracer automatically aligns source images (press “Auto align”) and detects parallaxes (“Auto” parallax). Use these options to get better results. 5. 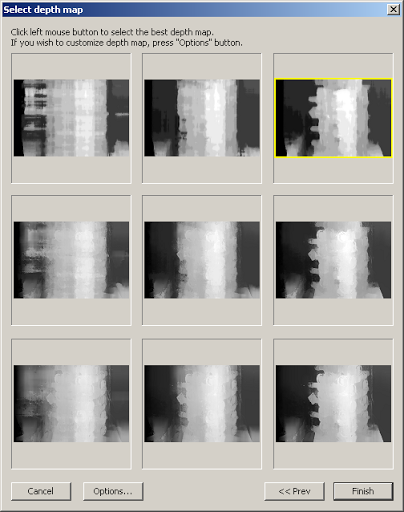 Then StereoTracer shows the preview window with 9 variants of the depth map. Press Finish. StereoTracer calculates the depth maps for both images. 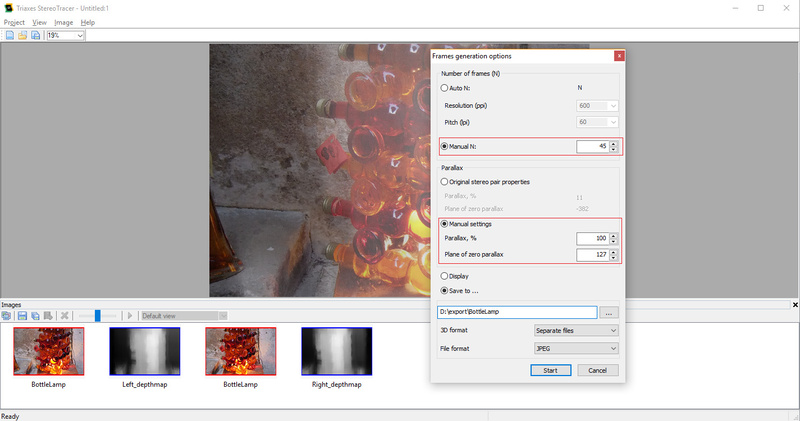 Now we can start multiview calculation. Use the following command: Image|Generate Frames. – manual settings: in this case we can set the desired parallax and convergence point. The source stereo photo has the convergence point far from the background wall, so the relult looks like a motion. If we want to create a nice lenticular 3D it would be better to make some compensation shift. It can be done in 3DMasterKit for all the series of frames. With StereoTracer we can aslo correct this situation. 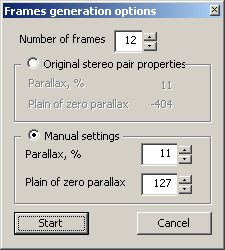 For now leave the parallax settings the same. When the source stereo photo has the parallax insufficient for a good 3D lenticular we can increase it. 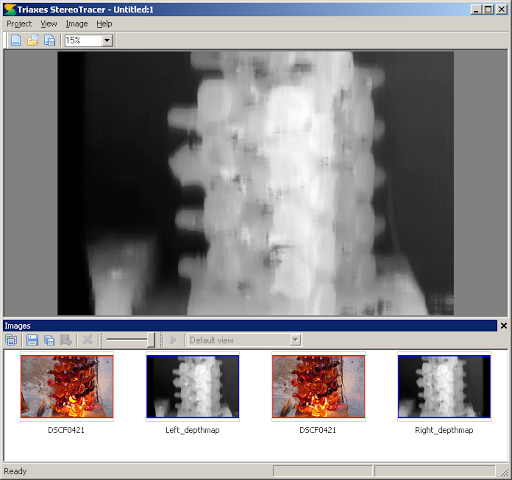 In this case StereoTracer will extrapolate frames out of source images. So using the feature of “inter- and extrapolation” of the stereo photo in StereoTracer we can get a sequence of images very close to the real sequental shooting. Looking Glass Holographic Display has incredible potential to show multi-view images with llarge parallaxes. 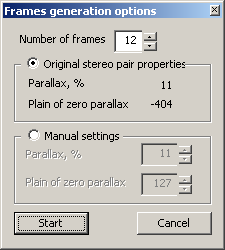 It is recommended to use parallax settings in the range 50%-100% and the number of frames 45-100.